Larisa Mantor is a USDF Bronze, Silver, & Gold Medalist. Larisa offers a dynamic, supportive, positive and rewarding training environment; maximizing the potential of both horse and rider. Larisa also teaches horse and rider bio-mechanics. Larisa's students and horses have achieved numerous championship titles, high points, year end awards, HOY awards, and rider awards including all USDF medals. 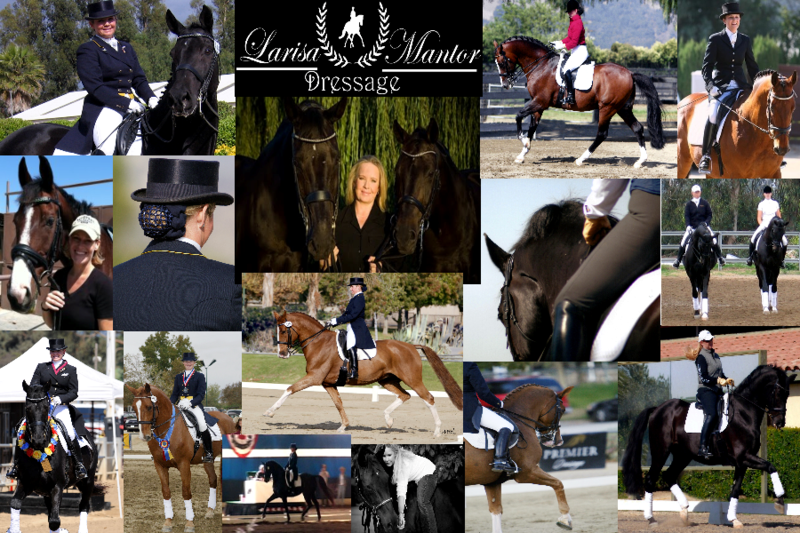 Larisa has trained and studied with some of the best in dressage, including but not limited to; Klaus Balkenhol, Conrad Schumacher, Steffen Peters, Debbie McDonald, and Christine Traurig. Larisa welcomes all breeds and levels of horses and riders. Larisa accepts trailer in lessons and is available for clinics. Larisa has many training and lesson options to suit your needs, from one lesson at a time, to full training and care. Larisa also offers a consignment sales option in her sales barn. Please feel free to contact Larisa for more information.